You have a new website which works great on the programmer’s demo page. You get hosting set-up and think that it’s only a matter of hours until the site is transferred to your hosting and you have a great new live site. But now it’s been awhile and your website is still not working even though everything seems to be perfect? What the @#$%^! 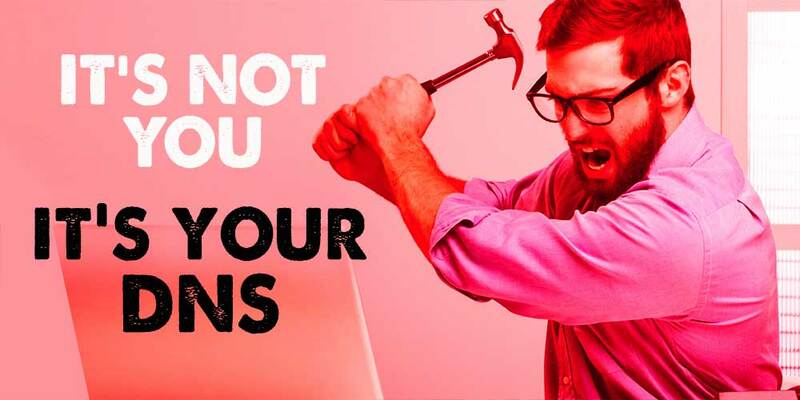 It Might Not Be Your Website Or The Server that’s the problem…. It might be your DNS! You use a web-browser to access the internet. Let’s say that you typed “kemplercreative.com” into the address bar of your browser to find this website. Your computer had to use the internet to find the files that are used to run this site. DNS (Domain Name Servers) are servers that connect individual computers to website files using IP Addresses and Domain Names. Each computer has a unique IP address which is a code used by the DNS to locate your computer. You can find yours here https://whatismyipaddress.com/. Your computer uses the DNS records for this site, to determine where the web files can be found. It looks for the A (address) record for kemplercreative.com and it gets the IP address of the computer that hosts the website. Your computer asks to access that IP address and the page you’re requesting. Assuming that the server is running properly and the correct files are there, the nameserver displays the web page on your computer. If you can’t figure out why your website isn’t working, check the DNS settings for the domain of your site. Or atleast, now you can make it seem like you know what you’re talking about when you ask someone else about it.